The University has hired Johanna DeBari as the Director of the Office of Survivor Advocacy this semester. The Survivor Advocacy and Community Education Office (SACE) serves as a confidential resource to students, faculty, and staff who identify as victims or survivors of sexual assault, intimate partner violence, stalking, sexual harassment, and other forms of interpersonal violence. In this position, DeBari will provide support by helping survivors explore courses of action within the University and through outside resources. 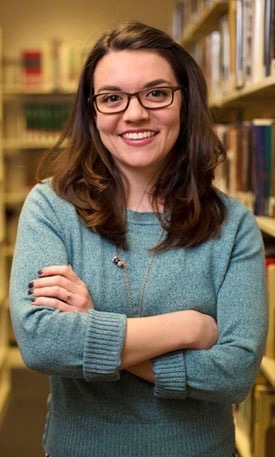 “I’m not a counselor—I don’t have those particular letters after my name—so my role as an advocate is to really explore options and then connect people to those options rather than provide that kind of mental health support,” DeBari said. DeBari will work as an educator by providing training, programs, and workshops within the community with students, faculty, and staff. She wants to engage the community by discussing prevention and intervention in responding to survivors and various types of sexual violence. “I also create and facilitate education programs, trainings, and workshops, in collaboration with other organizations on campus and beyond regarding sexual and intimate partner violence prevention and responding to them,” DeBari wrote in a campus-wide email on Jan. 24. Before coming to the University, DeBari worked as a trainer and adult educator at the Women’s Center of Greater Danbury. At the center, DeBari answered hotlines and also spoke with clients and survivors in-person. DeBari also led a training course certifying volunteers and staff as domestic violence and sexual assault counselors and advocates. “The experience I had in that role is giving me a solid foundation to this role at Wesleyan,” DeBari said. DeBari is also excited to work in partnership with student groups, faculty, staff, and various offices on campus. She also hopes to be a resource on campus not only to survivors, but also people who are connected to and work with survivors.